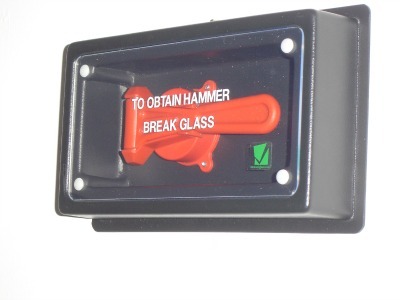 The Safebox offers fully assembled hammer boxes for emergency escape from trains and buses. Safeboxes can be flush or surface mounted and can be attached to the window with either screws or tape. Choose which hammer you require - T hammer (shown above) or with a handshield. 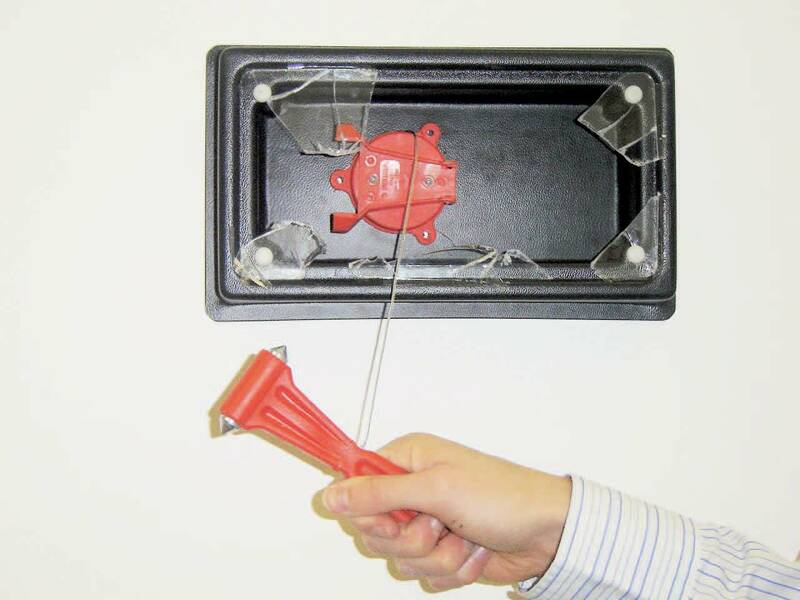 Hammers can be supplied with a retractable chord to prevent theft. Safeboxes are set behind Safeglass, the award winning material which is easy to break and safer than glass alternatives. Find out more about our hammer boxes. The Safebox comes ready to be fitted. They have been designed to make it easy to replace the Safeglass should it become accidentally broken. Spare breakglasses and hammers can be purchased separately. Our hammer boxes start at just £39.99 - For a quotation or more information, call us now on 01355 272438, email us or fax back your form.